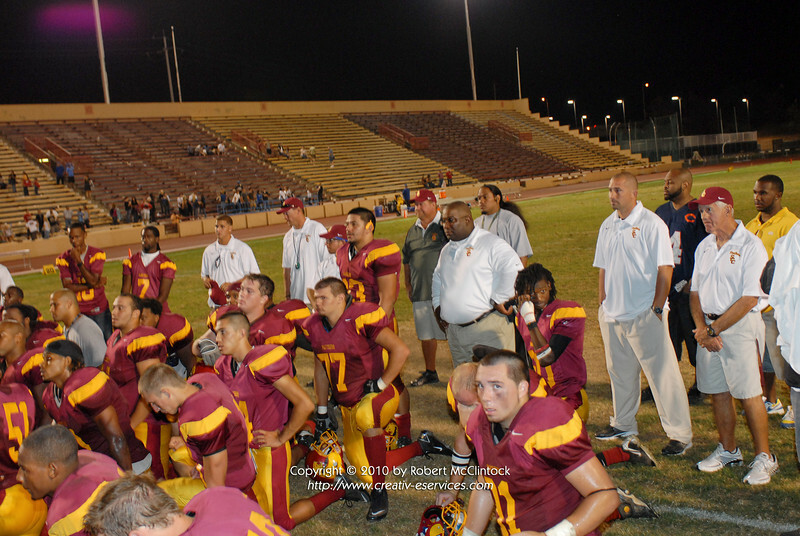 Postgame photos from Sacramento City College game at Hughes Stadium, Sacramento, California, September 11, 2010. Team conferences, players with buddies, coaches, and families, etc. Please remember to give credit to "Photo by Robert McClintock Copyright (c) 2010" on all photos used.